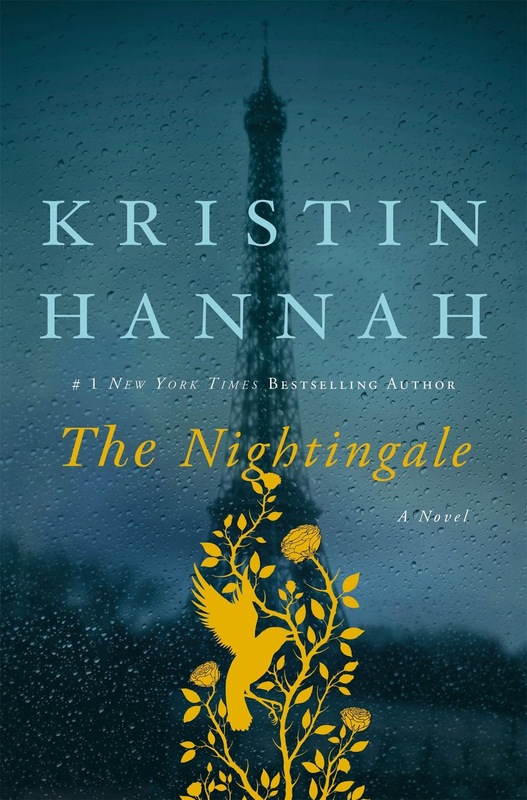 Kristin Hannah's The Nightingale follows the story of two French sisters, Vianne and Isabelle, during the German occupation of France during World War II. Vianne and Isabelle grew up without their mother in a home where their father never showed them any signs of affection. The age difference between the sisters furthers the isolation they feel and the lack of connection they have towards one another. Vianne has known and loved Antoine her entire life and upon her teenage pregnancy, they marry and begin their lives together leaving Isabelle behind. As a result, Isabelle's father ships her off to school after school after school trying to keep her busy and away from home. Isabelle acts out, defies the nuns and ladies who attempt to instill within her superfluous manners and empty-headed demonstrations of refinement when what really matters--the burgeoning war with Germany--is right outside her window. When Isabelle's father sends her to live with Vianne, things do not improve. In 1939, Vianne's husband is sent off to the front lines of French defense while Isabelle's trip to Vianne turns upside-down and she finds herself amid the tens of thousands of Parisians fleeing the bombings on foot. During the Nazi attacks, Isabelle meets Gäetan and despite his rough exterior, the two help each survive and press on despite the bombings, starvation, dehydration, and death that surrounds their escape. Vianne finds her town, her children's school, and even her own home overrun with Nazi soldiers who force her to list names of the Jewish families in town. Vianne's dear friend Rachel is on the list and she must do her best to hide Rachel and her children, protect her own daughter from the increasingly violent and hopeless world in which they live, and survive the strain and fears of sharing her home with first one Nazi soldier who threatens her heart and then another who threatens her life. Meanwhile, Isabella joins the Nazi Resistance and puts her life on the line helping airmen escape through the mountains. Though Gäetan supports the Resistance, he betrays her trust and she finds herself alone working as the infamous code-named Nightingale helping others to freedom before she ends up in a concentration camp herself. Hannah's story is high-stake, engaging, and delves into the heartbreaking experiences of women in France during the German occupation. While I was invested in following these women's lives and discovering what would happen, the are a number of times in the story where events occur and characters suddenly appear far too conveniently (i.e. you think of them and then TA-DA there they are in front of you). I strongly disagree with one of the novel's suggestions regarding what it means to love, a plot point that occurs in the final third of the book, but to spare you from spoilers I'll keep it to myself (if you've read it too or want to know, post a comment and we can discuss it there). That being said, I really enjoyed the story, began and finished the novel (440 pages) in just a few days, and highly recommend it to anyone interested in World War II, women's literature, and strong narratives.